MenScience Daily Face Wash is an advanced liquid cleanser that will leave your face super clean, plus it will improve your complexion with glycolic acid and other professional ingredients that smooth, soften, and renew your skin. 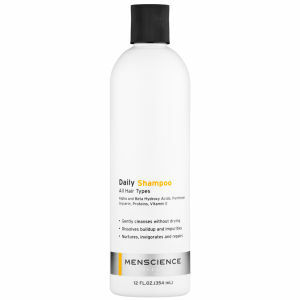 MenScience Daily Face Wash is recommended for daily cleansing, to smooth and renew. 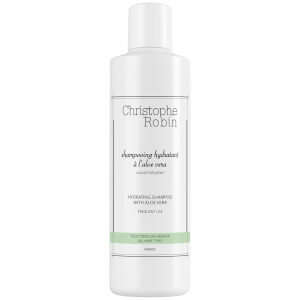 Its unique formula removes impurities and debris without stripping your skin's natural conditioners, and revitalises your skin by removing dead cells and dull build-up. Daily Face Wash clears grime and oily residues from deep within the pores, plus it rinses away fast and is softening and hydrating for healthy skin. The formula contains glycolic acid used by dermatologists and skin care professionals to gently shed upper layers of the skin; salicylic acid a powerful professional ingredient prescribed for treatment of acne, ingrown hairs, and dandruff, and combating signs of ageing; allantoin, a superior anti-irritant and soothing agent of botanical origin; vitamin C which helps protect and repair the skin and improve its appearance due to antioxidant and skin-brightening capabilities; aloe vera extract, a well-recognised moisturising, healing and anti-inflammatory ingredient; and urea, a moisturiser capable of attracting and retaining water. Lather a small amount (about 1 teaspoon) on face. For an even deeper cleaning, apply a small amount of Daily Face Wash to the Face Buff Brush and use that to lather on face. The Brush loosens dirt and impurities from skin and deep within pores, while prepping hairs for a closer shave.